Daniel and Janet Perry, renowned for their Daniel’s Italian restaurants in Apex and Fuquay-Varina, have also done well for themselves in the upscale sports bar market. Spirits Pub & Grub, located near downtown Cary, opened back in 2009 and has grown in popularity ever since. No doubt it’s attention to detail that sets Spirits apart from other similar establishments. It certainly doesn't hurt that the eatery grinds its beef in-house using a combination of chuck and top sirloin. 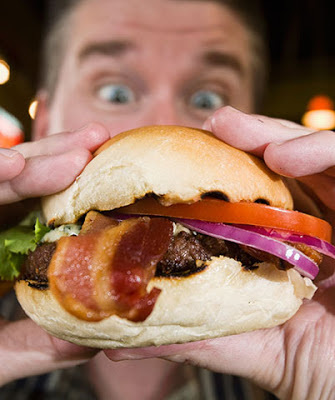 Then there are the distinctive menu offerings like the award-winning firecracker burger (topped with a house-made cheddar and habanero cracker) and black and bleu, which features blackened seasoning, bleu cheese and applewood bacon. Burgers are six ounces and served alongside “wedgies,” or hefty baked potato wedges that are cut and fried extra crisp. These are a nice alternative to typical fries. Weekday lunch specials are available for $7, and other deals include daily drink specials and discounted wings on Thursdays and Sundays during football season. The $3 fried pickle chips on Tuesdays also are first-rate (just don’t check your cholesterol afterward!). Spirits showcases 16 large televisions throughout the airy restaurant, which is open for lunch and dinner seven days a week starting at 11:30 a.m. I remembered the finger food catering sydney's menu of baked potato wedges and boy, was it so good with a creamy gravy. I'd like to try this one, too! The bacon looks so inviting.